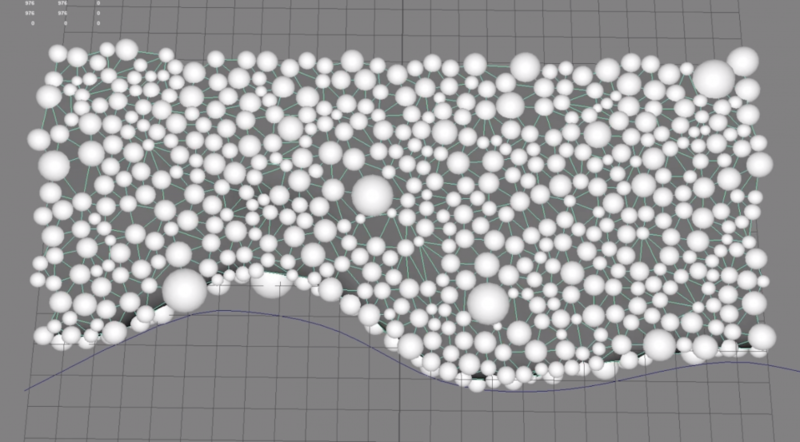 Does anyone know how you can go from the first mesh which is the classic quad meshed character, to a remeshed version based on connecting all the scattered points on the mesh? 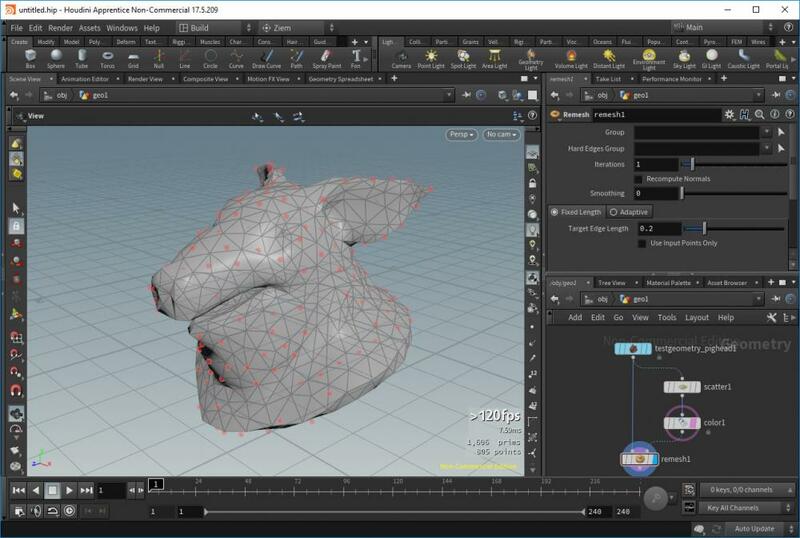 1.triangulate2d, then restoring positions, but its not good for complex mesh shapes. 2.tetrahedralize, not so hot as cant tell it to only grab points from the surface of the mesh, it goes mad connecting innards of the mesh like a lattice. 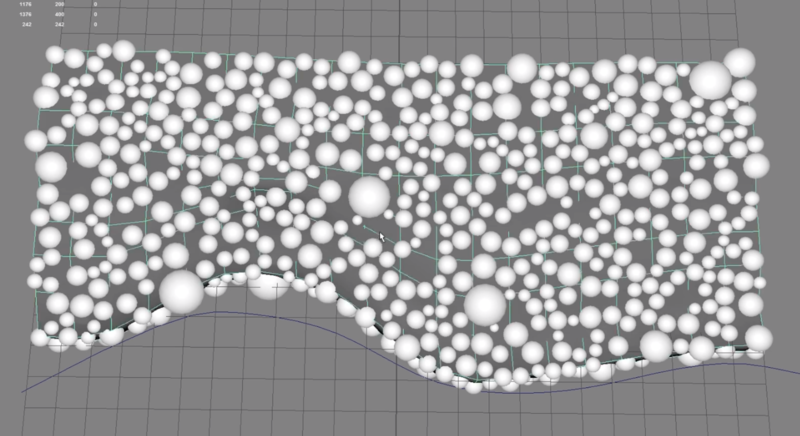 3. i then tried "point iso cloud" which is great for laser scan reconstruction, and uses my custom scatter points to make the mesh BUT does not result in a mesh that uses my scatter points as the actual mesh points. 4. is there any mileage going down the vex route, creating a UV, then instead of searching for nearpoints in 3d space (where you could grab near points that arent actually connected on the same part of the surface of the character), and instead search distance on the UV positions of the points? 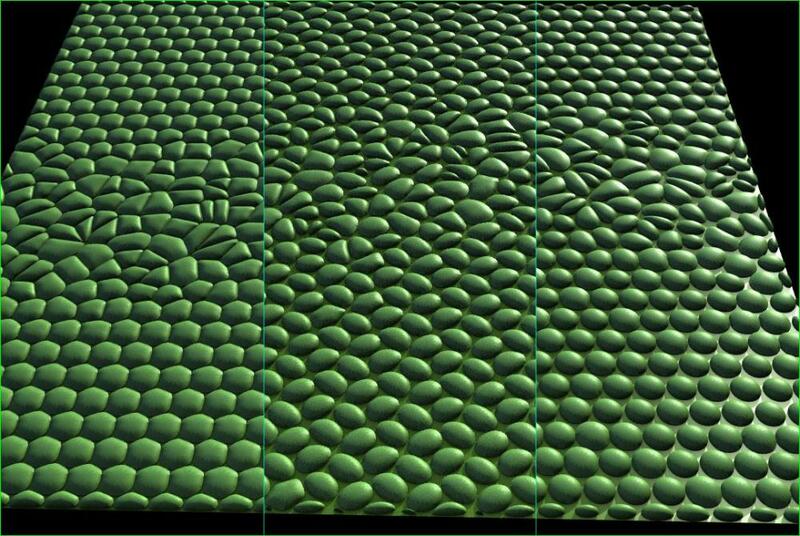 5.voronoi fracture the mesh using needed scale position points(scatter), then trying "compute dual" on the divide SOP. 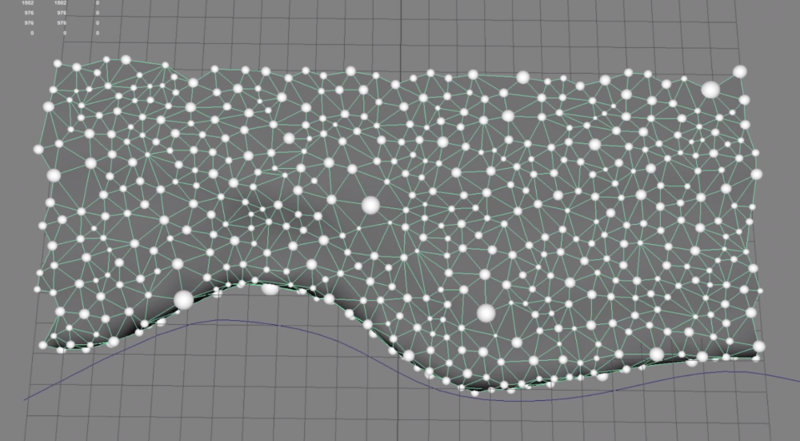 this feels quite close, i just need the mesh thats constructed by connecting the scatter points making lots of triangles; once ive got a mesh with the points of the connected triangles at the centre of my desired scale positions i can then compute the dual and HURRAH! ive been smashing my head against a wall for days now, id really appreciate some brain power as i think ive burnt all mine out!! I have submitted this as a RFE to SideFX. Would be very useful for allot of things. Nevertheless here is a way to start. 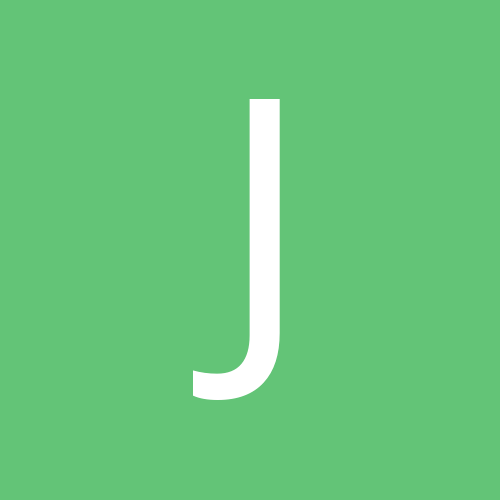 It'all about transfer attributes and UI. For the moment the difficulty (for me anyway) is to add a square mode to the scales. There is a control with some paramaters to tweak, and a curve who control voronoi "influence". But the curve could or rather should be used to transfert other attributes. very interesting! will take a look. cheers @flcc some jedi knight skills going down.